Just search for the keyword “increase torrent speed” and you will see millions of search results. However, 99% of the tutorials won’t work good for you and in the end, you will just have to adjust with the slow Torrent download speed. Therefore, today I am going to share a totally working tutorial on How To Increase Your Torrent Download Speed With CheatEngine. Now Increase Torrents Download speed with the cheat engine software which is free to download. 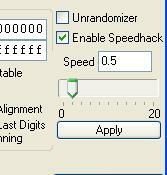 No need to pay penny more for increasing your torrent Download speed. By using the cheat engine the torrents speed gets doubles , you just need to tweak some setting in the cheat engines and it makes your torrents download speed faster. Its very easy and even an non-programmers, kids also can make the following settings. Just follow the tutorial carefully. 1. Download the Torrent client to your computer like Utorrent and install it. 2. Now Download the Cheat Engine to your computer and install it. 3. After installing both the Utorrent and Cheat Engine open both. 4. Switch To Cheat engine now, Now you can see a “computer like symbol”. It is used the open the processes running in your system. 5. Open it and choose the Utorrent process and after selecting click “open”. 6. 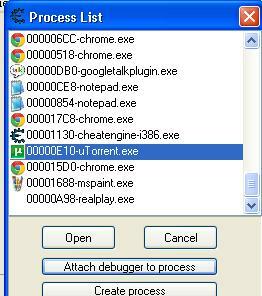 Now again repeat the same step as above, now click on “Attach debugger to process”. 7. You will get a message to press yes or No. Click on Yes. 9. Now finally you have to click on “Apply”. 10. Don’t close the Cheat engine, just minimize it and After few seconds you can observer increase in the Torrent download speed. Note: - Just replace 0.5 again with 0.25 and then stop your torrentz download and start it again. Wait for 2-3 mins and hurray ! you have tripled your speed. 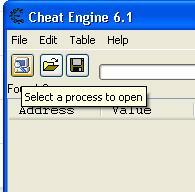 Finally you have doubled your torrent download speed with the free software called cheat engine. complete crap......it will not increase speed....it just slows down the time in your torrent...so that the average speed increases!!! !